Imagine writing a story where the first thing the “reader” asks when they begin is: what do I do? The answer might be one or all of these things: explore, survive, observe, solve, form a strategy, make decisions. Game writing is a type of storytelling where the reader is a player. Everything about the game, like the environment, the characters, the rules and the gameplay, can be opportunities to tell the story. This makes game writing extremely collaborative, technical and iterative. What do game writers do? I haven’t met two game writers who do exactly the same thing: the types of game writers vary as widely as the types of games there are that tell a story. Game writers might be given a particular story the development team wishes to tell, or they be asked to write the entire story from the beginning. Regardless, some core things a game writer will create are character biographies, narrative treatments and scripts for cutscenes. They may help map the narrative to the progression of the game. I have written all of these things for The Gardens Between, an adventure puzzle game with no text or dialogue. This might seem strange, but it means the first step of communicating the story to the players is communicating it to the development team. For example, it’s tremendously helpful for an artist and an animator to know the personality of the character they are modelling and animating. The Gardens Between is a smaller title, and I was the only writer on the team responsible for the entire narrative. This is different to writers in larger studios working on open-world, story-heavy games, like Dragon Age, for which there may be a team of writers. In this case, the work can be more focused: a writer may write one quest-line (a group of quests or goals that result in a reward and contribute to the story), or the journals of a particular character in the game. I learnt my lesson early on when I wrote an action packed script for a cutscene, which is a cinematic clip in a game that advances the story. After presenting it to the team, I was told we only had the time and technical capability to do one simple cutscene. It could involve simple animations like the characters embracing, and during the gameplay we could maybe have the characters lift their arms. Woops! Narrative in games can be both a chicken and an egg in the one project. It can be informed by art, gameplay design and technical capability that already exist. In this case, taking time to understand what has been built before putting a single word on the page as it is crucial to telling the story. The rest of the team will be extremely grateful for having their work and creativity considered — it saves time and, potentially, a lot of money. On the flip side, the story can be a catalyst for art, music, design and tech. My perfunctory stick figures have never served me so well in writing for The Gardens Between. They have helped me communicate how the key moments in the story may be conveyed to the team. We discussed what is technically possible and what could be built to allow the narrative to nestle into the game as a whole. Game writers may also be “narrative designers”, but the terms are not synonymous. Narrative designers have input in designing the key components of the game that help tell the story: the environment, the world, the gameplay. In larger development teams, they write briefs for the other writers and keep them informed of changes to the gameworld and overarching story. If a game has levels set in a space station, but it’s now no longer possible to go up into space because the budget won’t allow it, those levels will be cut. The narrative must still make sense. This is where modular storytelling is key — at any point, a level can be cut and the chain must hold together. They do this by ensuring the narrative is communicated across the development team such as other writers, the artists, level designers and game designers with story documents, flow charts and regular meetings. 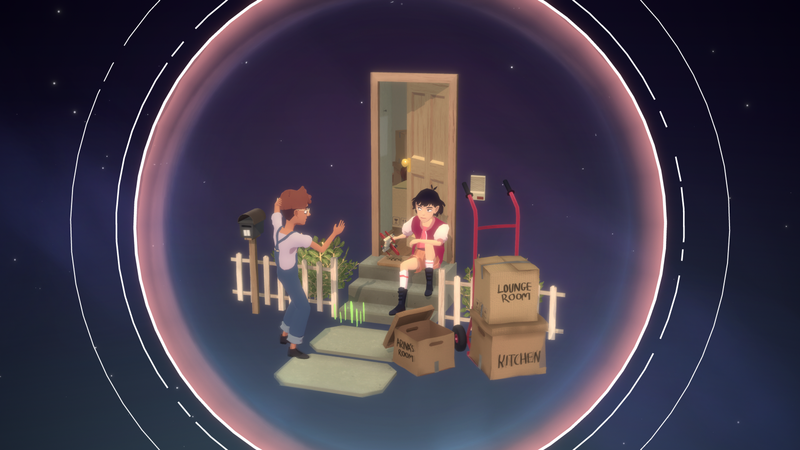 In The Gardens Between, we paired the character’s growth with the player’s growth (their understanding of the story and solving of the puzzles). The core idea of this story is to investigate the childhood friends who shape us. 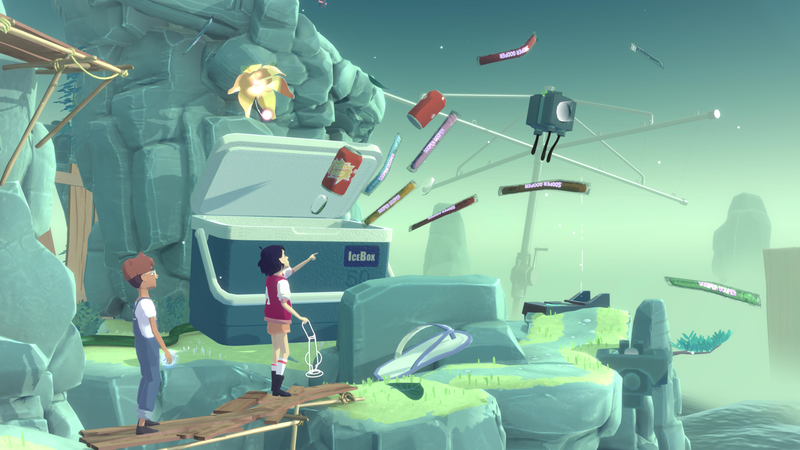 To support the story, the gameplay sees the two main characters work together to traverses these beautiful terrariums of memory. 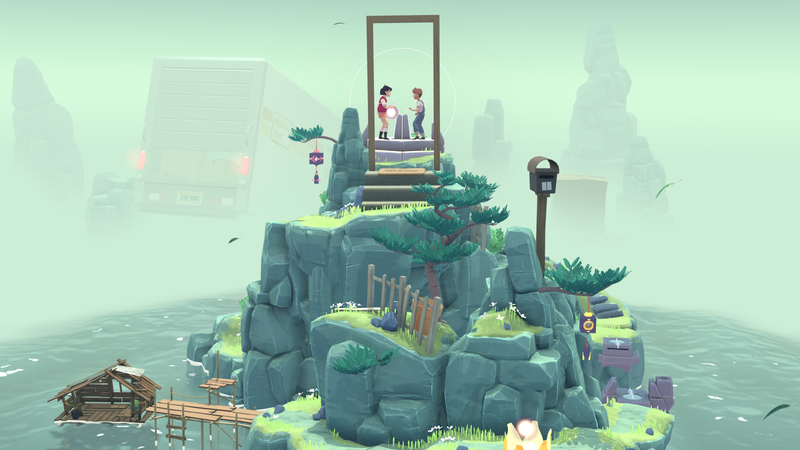 In The Gardens Between, we pair the character’s growth with the player’s growth (their understanding of the story and solving of the puzzles). The story question: who are these kids and where are they going? acts as part of the player’s incentive to finish the game. The Gardens Between has delightful puzzles (free of any time-pressures) and beautiful environments, that encourage slow, meditative gameplay. All of which match the method of storytelling: subtle and unfolding. Her Story: A police procedural game that asks the player to watch and reorder fictional police interviews in order to determine the events and outcome of the case. This makes the game a great example of storytelling because of the way the story unfolds in the player’s mind as they build an understanding of the case. Firewatch: The player is Henry, a man who takes a job as a fire lookout not long after his wife develops early-onset dementia. The game uses the idea of being secluded in a stunning national forest, vivid colours, music and interactions with another lookout, Delilah, as the primary way of telling a powerful story. Henry is an ordinary character with complex problems who works with Delilah over walkie-talkie to protect the park and uncover a mystery. Journey: A beautiful story without words, Journey tells story with landscapes, colour, music, small cinematic sequences and gameplay. The player begins as a cloaked figure in the middle of a desert with a large mountain in the distance. The journey to this mountain is emotionally compelling and delightful. Gone Home: An adventure game where the player is Kaitlin Greenbriar, a twenty-one year old woman who returns from overseas to her family home only to find the house is empty. The story is wonderful in the way it subtly unfolds by exploring the Greenbriar house, looking at objects and listening to messages left by Kaitlin’s younger sister, Samantha, whose struggles at a new high school and her relationship with her friend Yolanda have caused tension in the family.